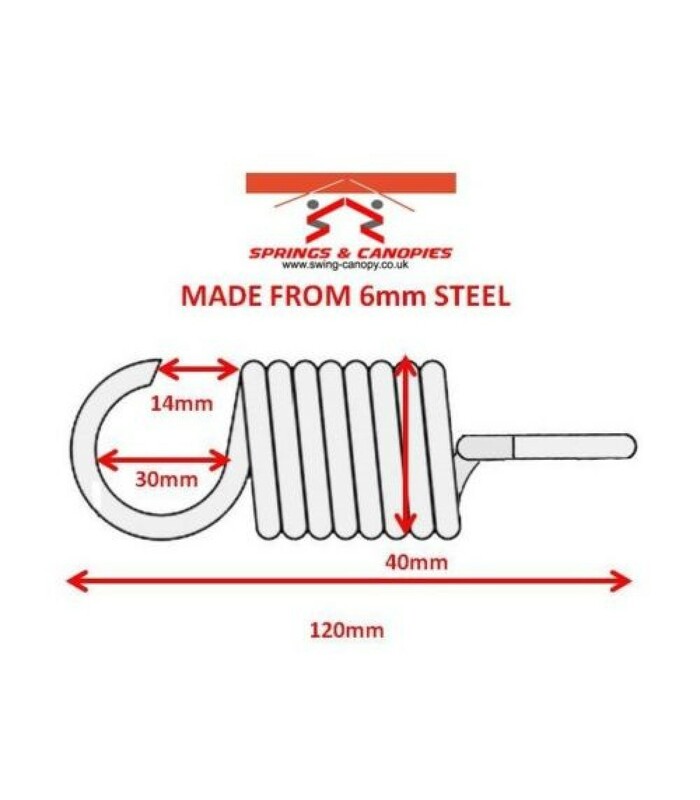 Heavy duty springs. The Hooks on this spring are off set at a 90 Degree angle. Made from 6mm steel. 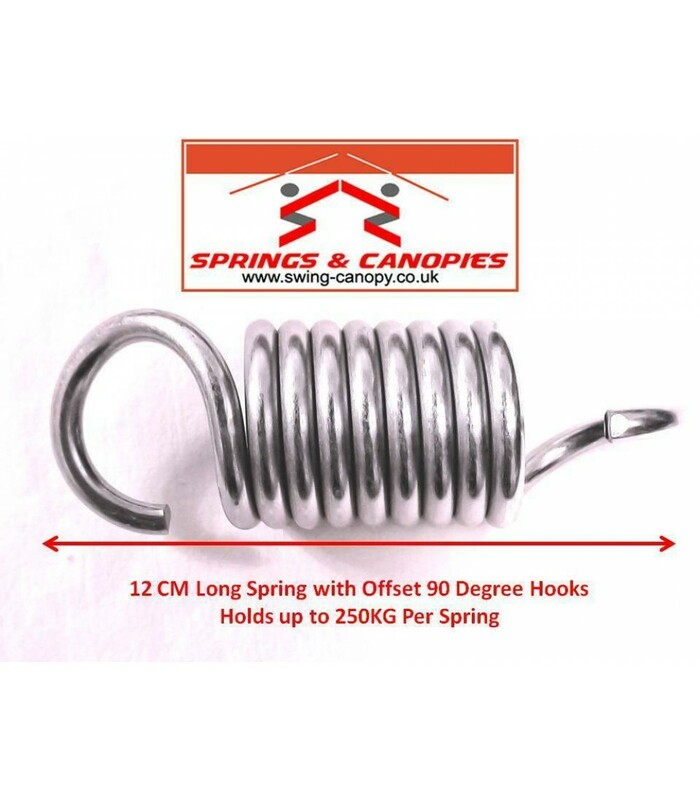 This spring measures 12 cm in total. It has 8 coils. 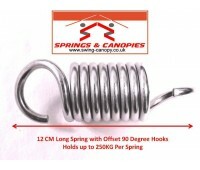 These springs are very strong and will hold up to 100g each.